Lenovo A7000 is the smartphone with awesome multimedia experience. This smartphone was launched in March 2015. Just a couple of months before, the company introduced the predecessor of A7000, which was A6000. Lenovo that has been top PC company in 2013, and has brought the same standards when it ventured into the smartphone market. Customers, seems to be claiming their utter satisfaction, with the lenovo smartphone range; as it comprises of high-quality features and standard functionality to serve the mere purpose of enhanced technology. Lenovo A7000 is made up of a plastic body, with the volume buttons being made of metal. The smartphone dons a huge screen of 5.5 inches. The phone brings together the IPS display of nearly 180°, for the wide-angle viewing. The phone with that sleek design, it weighs unbelievably low; at just 140 grams. The phone is available in two variant colours – Pearl White & Onyx Black. This time lenovo has bagged the MediaTek's advanced 4G LTE True8core processor. This selection is made to give a boost to performance and better battery life. Lenovo A7000 know the significance of multi-tasking and thus houses a 2 GB of DDR3 RAM. Speaking of the operating system, that Lenovo A7000 supports, it's the Android's version of 5.0 Lollipop. This one is the latest from all other Android versions, today. The smartphone also comes with Vibe UI skin on the top. Dolby is that terrific sound system that's considered as one of the most supreme most sound quality; at present. And Lenovo brags itself, on being the first phone that houses Dolby Atmos. This one comes across to produce rich and captivating experience. With this, the multimedia segment of this phone gets a hype. A hype – that's justified with a quality performance. Music, Videos, Games, Video Chats and all other multimedia features, comes with a standard quality. You can play games like Real Football 2015, Gamestore, Tag The Frog, Green Farm 3, and many more with lenovo A7000. Almost all the music and video files supports this particular smartphone. The front camera of Lenovo A7000 counts up to a 5 MPs of quality. This front camera is pretty good at taking better quality click; that you call 'selfies'. Lenovo A7000 comes with the 8 MPs of rear camera. This one is an auto-focus camera, with LED flash light. All in all, the camera clicks good picture in daylight as well as on the nightmode. 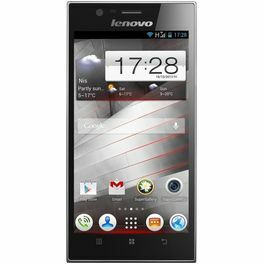 Lenovo A7000, is a Dual SIM smartphone. One of the SIM is backed with both; 3G and 4G/LTE. While the other SIM supports just GSM. Apart from this the smartphone incorporates the Wifi, GPS, Bluetooth and FM; to add quotient to your entertainment zone. Moreover, there's many built-in lenovo apps to perform several activities like sharing stuff from your phone to other devices without the requirement of network. Memory space of the smartphone matters a lot. The users this days, want everything at the drop of a hat. And thus store almost all their stuff on their phones. Lenovo A7000, fathoms this fact and thus comes with the internal memory space of 8 GB; which is expandable up to 32 GB. Moreover, the battery life is raised with the capacity of 2900 mAh. The battery type is that of Li-ion, and this is a removable battery. 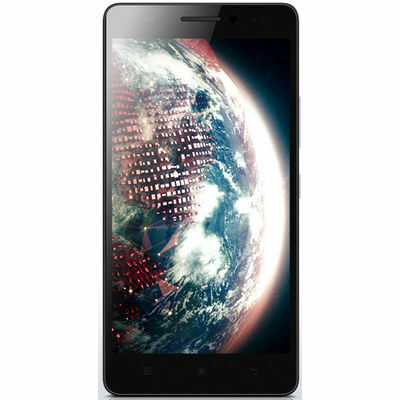 Lenovo A7000 – Home To Breakthrough Mode Of MultimediaLenovo A7000 is the smartphone with awesome multimedia experience. 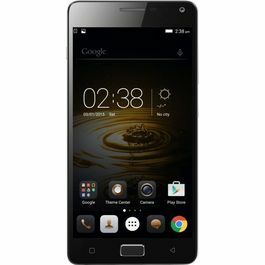 This smartphone was launched in March 2015. Just a couple of months before, the company introduced the predecessor of A7000, which was A6000. Lenovo that has been top PC company in 2013, and has brought the same standards when it ventured into the smartphone market. 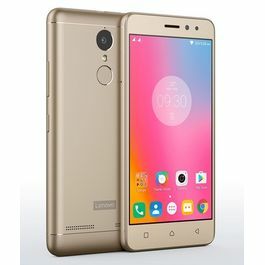 Customers, seems to be claiming their utter satisfaction, with the lenovo smartphone range; as it comprises of high-quality features and standard functionality to serve the mere purpose of enhanced technology. Design & Display Lenovo A7000 is made up of a plastic body, with the volume buttons being made of metal. The smartphone dons a huge screen of 5.5 inches. The phone brings together the IPS display of nearly 180°, for the wide-angle viewing. The phone with that sleek design, it weighs unbelievably low; at just 140 grams. The phone is available in two variant colours – Pearl White & Onyx Black.Processor & OSThis time lenovo has bagged the MediaTek's advanced 4G LTE True8core processor. This selection is made to give a boost to performance and better battery life. Lenovo A7000 know the significance of multi-tasking and thus houses a 2 GB of DDR3 RAM. Speaking of the operating system, that Lenovo A7000 supports, it's the Android's version of 5.0 Lollipop. This one is the latest from all other Android versions, today. The smartphone also comes with Vibe UI skin on the top.Key FeaturesDolby is that terrific sound system that's considered as one of the most supreme most sound quality; at present. And Lenovo brags itself, on being the first phone that houses Dolby Atmos. This one comes across to produce rich and captivating experience. With this, the multimedia segment of this phone gets a hype. A hype – that's justified with a quality performance.Multimedia Music, Videos, Games, Video Chats and all other multimedia features, comes with a standard quality. You can play games like Real Football 2015, Gamestore, Tag The Frog, Green Farm 3, and many more with lenovo A7000. Almost all the music and video files supports this particular smartphone.Camera The front camera of Lenovo A7000 counts up to a 5 MPs of quality. This front camera is pretty good at taking better quality click; that you call 'selfies'. Lenovo A7000 comes with the 8 MPs of rear camera. This one is an auto-focus camera, with LED flash light. All in all, the camera clicks good picture in daylight as well as on the nightmode.ConnectivityLenovo A7000, is a Dual SIM smartphone. One of the SIM is backed with both; 3G and 4G/LTE. While the other SIM supports just GSM. Apart from this the smartphone incorporates the Wifi, GPS, Bluetooth and FM; to add quotient to your entertainment zone. Moreover, there's many built-in lenovo apps to perform several activities like sharing stuff from your phone to other devices without the requirement of network.Memory Storage & Battery LifeMemory space of the smartphone matters a lot. The users this days, want everything at the drop of a hat. And thus store almost all their stuff on their phones. Lenovo A7000, fathoms this fact and thus comes with the internal memory space of 8 GB; which is expandable up to 32 GB. Moreover, the battery life is raised with the capacity of 2900 mAh. The battery type is that of Li-ion, and this is a removable battery.Connect with the world smartly with Lenovo A536. And boast about this one and several other Lenovo's smartphone world!Infibeam's online shopping site is here, just to make your shopping a little more interesting and a little more convenient!